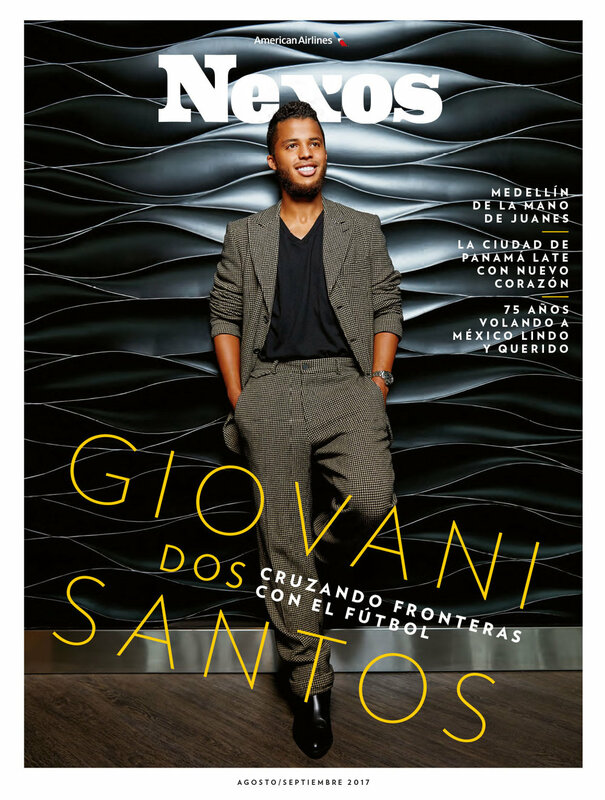 Mark recently had the opportunity to spend some time with the infamous Giovani Dos Santos of the LA Galaxy soccer club. Born and raised in Mexico, Gio is known as an agile, clever athlete that has been ranked as one of the top 100 young players in the world. His precocious, yet humble spirit was captured perfectly in these images for American Airlines. Set against the backdrop of the StubHub Center in sunny Carson, CA, Mark photographed many unique shots that display Gio's playful, genuine energy. The stylist sourced looks from Ted Baker, ACNE Studio and Bottega Veneta to complement the modern setting. As a sports photographer, Mark loves capturing the natural personality and nuances of all-star performers. By creating a laid-back, approachable rapport on-set, Mark allows his athletic professionals to feel as comfortable as they do on the field (or court)! Mark prides himself in being an action photographer who has worked with athletes of many diverse sports, football, soccer, baseball...you name it! Being a Los Angeles commercial photographer, Mark leverages a top-of-the-line crew that brings these projects to another level. Utilizing his skills as an sports photographer, Mark combines two of his greatest passions, photography and sports. Not only can these images be used for editorial purposes, but Mark has also participated in many projects that include sports advertising photography in the Los Angeles market. You can discover Gio's entire story in the August 2017 Issue of American Airlines Nexos Magazine.